This celebration of Los Angeles honors stunning architectural achievements while serving as a reminder of the nexus between social issues and physical infrastructure. With awards that honor sustainable building practices, dense urban living, and transit-oriented communities, the LABC seeks to highlight developments that move L.A. forward in an efficient, sustainable and livable way. *Save the Date–Tickets Available Soon! Take a look at our 2018 Award Winners and Event Recap! Project winners have a chance to showcase their work in an environment with like-minded professionals. Prominent leaders in the business, design and architectural communities announce the year’s award winners, honoring every aspect of the development process from the designers to the building owners. After awards are distributed a keynote speaker takes the stage to offer his or her perspective on design and development in Los Angeles. The Julius Shulman Emerging Talent Scholarship Award is a two-week design competition between the five best schools of Architecture and Design in Los Angeles County – Cal Poly Pomona, SCI-Arc, UCLA, USC and Woodbury University. 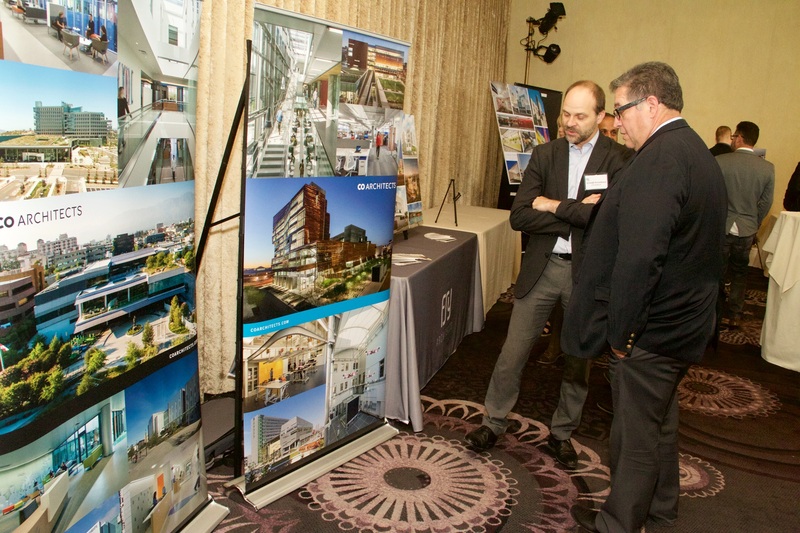 This event offers an opportunity for project winners to showcase their work with professionals in their field in an effort to connect today’s emerging talent with L.A.’s established architects.